From Monday 1 April 2019 there will be changes to the Park and Ride at the Gungahlin Town Centre. 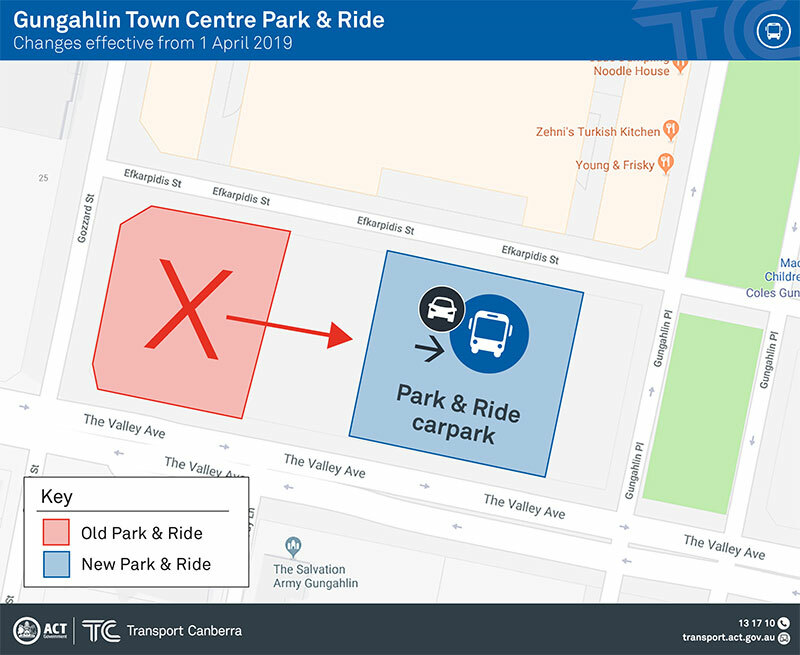 This change is to better align Park and Ride with Transport Canberra services, where Park and Ride will relocate to the other end of the carpark and closer to Gungahlin Place station. 114 car parks will be moved as part of this change. The Park and Ride zone will be the 6 rows closest to Gungahlin Place. All other arrangements with the parking and permit will remain the same. Signage will be moved to the eastern end of the carpark to outline where the new carparks are located.